Welcome to Bishamon House. Tsuzumi and her husband own this beautiful house. Tsuzumi studied in Italy after graduated from Osaka University. While staying in Italy she met her future husband Christian. They have moved back to her hometown, Kameoka with two kids, and bought a Japanese traditional house (about 150 years old), and renovated it. They have finally started a home stay business in 2018. They were also involved to tourism industry in Firenze for quite a while. As she is Japanese, and he is Italian, so they understand and appreciate both cultures. They will make every guest feel at home. You would get both the comfort and the tradition at their house. They are educated, interesting, and warm people. ● Learn to cook traditional Japanese dishes: we could cook dinner together. ● 7 Lucky Temples walk—it’s a beautiful foot of the east mountain range walk partly through a village and a cherry park all the way to Izumo Shrine: Izumo Daijingu Shrine | Popular Spots | KYOTO (about 2 hours walk). 7 Lucky Gods Pilgrimage of Tamba This would be a perfect thing to do for Autumn leaves. ● Relax at the Hiyoshi Hot Springs, which takes 30 minutes by car from my house. ● Japanese shiatsu massage: there is an excellent one, which cost 3,250 yen extra for an hour massage per person. ● Visit a local Sake brewing, where you can taste lots of different Sake. Our two week trip was greatly enriched by a stop in Kameoka! We stayed two nights with Tsuzumi and Christian, including signing up for a full day tour with them, which I would highly recommended doing if you decide to stay here. We were able to have a glimpse of the Japanese cultural experience that, as foreigners and first time visitors to Japan, would not have been possible otherwise without their local knowledge and guidance. The comfort of our stay was really all about our hosts, they were professional yet we felt a genuine connection. Christian was engaging, informative, and a great driver and guide. He has unique insight and perspective as a Westerner living in Japan, and made for great conversation. Tsuzumi is welcoming and sweet, and as a local provided great information and was always ready to answer our questions and help us translate language and culture. Their kids are adorable, and very well behaved! As we were interested in having a more authentic cultural experience, westayed in the Japanese style room. We found the futon mattresses on the tatami floors comfortable. Dinners and breakfasts were delicious, and it was fantastic to have some company while we ate and drank! Our day tour included a lesson with a local pottery master, learning about recycled Ikibana and a tea ceremony at a Zen temple, and a visit to a Sake brewery. These experiences were enlightening and brought us closer as a family! We also took a fantastic self guided walk along the 7 lucky temples. We appreciated these even more than the historic sights in Kyoto- though not as grand, the complete lack of crowds allowed us to take our time and appreciate the subtle beauty. We could have spent even more time here, and will definitely come back again next time we visit Japan. Our trip was all the more special because of our time at Bishsmon House! Our home stay at Bishamon House was a unique interlude during our 3 ½ week Japan travels. Our hosts Tsuzumi and Christian and their two charming little children, Akira & Yuki, gave us an immediate warm welcome to their home and community. It was nice to be able to exchange ideas of life, travels, and cross-cultural experiences in a personable setting – as well as join in a family meal. We opted for a day tour that was thoughtfully customized to our interests – including neighborhood walks, visit to a temple to meet a local woman schooled in tea ceremony and flower arranging, plus an excursion to the mountain village of Miyama. Our hosts also helped coordinate transportation for other activities in the area. We enjoyed a leisurely walk along the 7 Lucky Temples route as well as a delicious multi-course meal at a local family restaurant. Turns out there are several days worth of additional activities that we could have enjoyed in the Kameoka area had we opted for a longer stay. 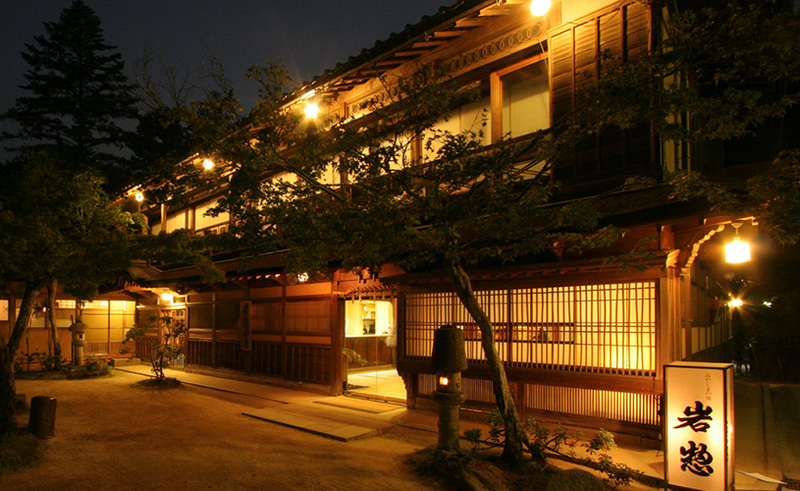 Our travel memories of Japan were definitely enhanced by our stay at the Bishamon House. Thanks again to Tsuzumi and Christian and kids.